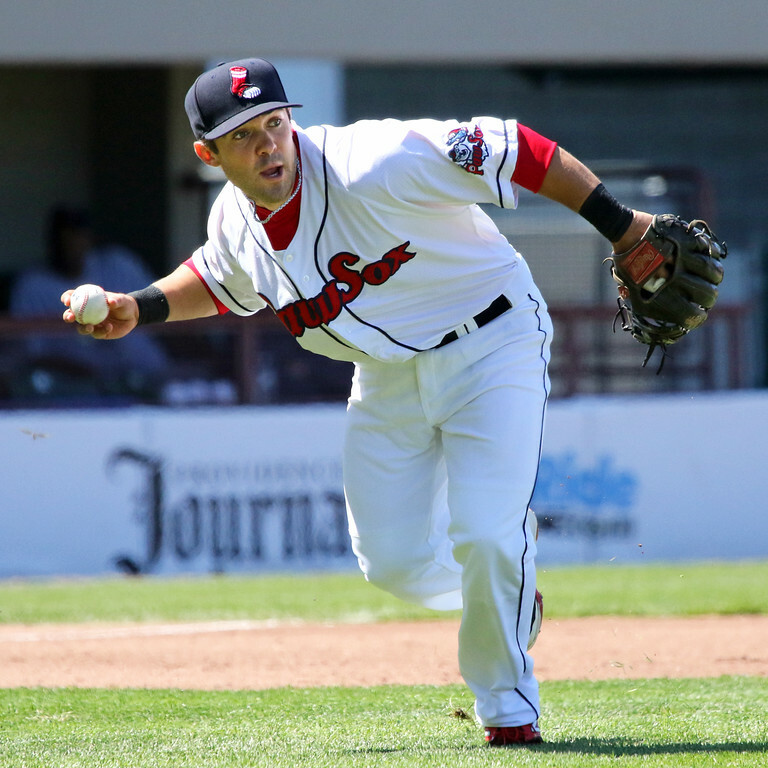 The Red Sox have continued to shuffle their 25-man roster, selecting infielder Mike Miller (pictured) to the active roster from Pawtucket optioning right-handed pitcher William Cuevas. Miller will take the open spot on the 40-man roster vacated when Rusney Castillo was outrighted to Pawtucket last week. Miller was drafted in the ninth round of the 2012 draft out of Cal Poly, San Luis Obispo, receiving a $5,000 signing bonus as a "senior sign." In 52 minor league games this season (46 in Pawtucket, six in Portland), he has slashed .251/.317/.301 with eight stolen bases. He profiles as a contact hitter with a decent approach but little power. Defensively, he has primarily split his time between second base, shortstop, and third base as a professional and will provide infield depth off the bench, likely being selected for the promotion because Deven Marrero cannot be recalled to the major leagues (without a player going onto the disabled list) until 10 days have passed from his being optioned on Saturday. Cuevas was recalled from Pawtucket two days ago and will be heading back down after appearing in both games since his recall, pitching 1 2/3 scoreless innings on Saturday before following with another scoreless inning on Sunday. In five innings over three relief appearances with the Red Sox this season, he has allowed just two runs on five hits but has an uninspiring six walks to only three strikeouts. Cuevas has been much better in his 12 starts for Pawtucket, posting a 3.30 ERA with 48 strikeouts and 29 walks in 73 2/3 innings.